On Target Enterprises antenna engineering is forged from years of experience with development of communication and remote sensing systems for the government. Personnel at On Target Enterprises have worked over the last twenty years designing and analyzing concepts for the most innovative and ambitious projects currently being fielded. This exposes On Target Enterprises to many of the current tools, techniques, and ideas associated with modern antenna measurement and analysis techniques. Current projects at On Target Enterprises focus on the development of high-efficiency Direction Finding (DF) antennas. These antennas exhibit wide bandwidth and multiport design for both instantaneous and time-integrated location solutions. Some strategies exploit polarization diversity for additional confidence and sensitivity. Unique design principles are utilized to minimize ambiguous and erroneous solutions. Performance approximations provide early estimates of sensitivity and accuracy using electromagnetic models of these antennas. On Target Enterprises owns and maintains two fully equipped outdoor antenna test ranges. 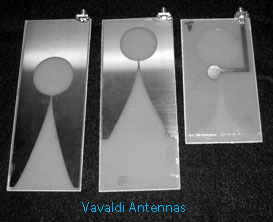 These test ranges are used to verify the designs of new antennas in development. We also offer independent testing for verification of other manufacturers’ antenna stated specifications. The On Target Enterprises Antenna Ranges are available for lease. A unique feature of the facility is that it’s completely reconfigurable due to the portable nature of the equipment. These facilitates can accommodate a very wide variety of antennas and RF equipment, from HF through microwave. Antenna measurement techniques refers to the testing of antennas on a range to ensure that the antenna meets specifications or simply to characterize it. Typical parameters of antennas are gain, radiation pattern, beamwidth, polarization, and impedance. On Target Enterprises personnel have over two decades of experience with creating, operating and maintaining antenna ranges. The Colorado RF hardware design and analysis facility is located on a 500 acre property in eastern Colorado. 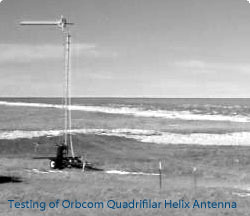 A 5000 foot Far Field outdoor antenna range provides wideband measurement capability for proof-of-concept antenna development and demonstration. Wideband network analyzer facilities have been developed for antenna component and beamformer evaluation. The outdoor facility is designed to accommodate airborne fly-over experiments to evaluate collection hardware effectiveness against specific targets at the range. Recent projects have optimized the transmitting and receiving antenna geometry for VHF measurements. Difficulties in this 30 to 500 MHz spectrum include high levels of reflection from the ground, towers, and surrounding structures. The outdoor RF background environment is cluttered with multiple sources of interference, limiting the accuracy and dynamic range of antenna pattern and gain testing. The On Target Colorado range is located in an RF quiet, shallow, remote valley to minimize sources of ground-based line-of-sight interference. Transmitting and receiving antennas are raised and lowered on Scientific Atlanta towers to measure and minimize the ground reflection. Towers can accommodate anything from small dipole antennas, to very large heavy dish antennas. Polarization fences are strategically placed to scatter the ground reflection. The receiving tower is on a trailer to optimize the range length for the specific test antenna's frequency range. The measurement process includes an automated spectral search to find the quiet frequencies within the range of interest. Hardware and software filtering, statistical sampling, and time-domain windowing are all used to reduce any remaining interference effects. These techniques produce very high quality VHF measurements and affordable measurement schedules. The 40 x 60 on-site RF and prototype lab is equipped with a portable RF shielded room, test equipment and instrumentation as well as fabrication and repair tools. The Florida antenna range is situated in a dense jungle setting and is used to determine how this environment may affect sensitivity, direction finding, connectivity and power.